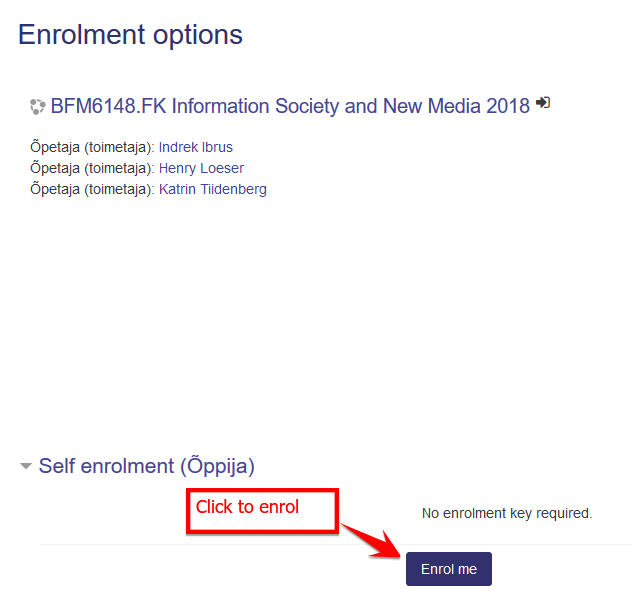 Sometimes the enrollment key is required to get to the course. You should ask the key from your teacher. If you can't find the course or you encounter other enrollment problems, contact your teacher.